NEW DELHI (Reuters) – India’s main opposition Congress party will reserve a third of federal government jobs for women if it comes into power, its chief Rahul Gandhi said on Wednesday, in a sign women’s rights are rising up the political agenda for next month’s election. Over the last week, two powerful parties from eastern India said they would field women in a third of parliamentary races, putting pressure on Prime Minister Narendra Modi’s ruling Bharatiya Janata Party (BJP) and other big parties to follow suit. India ranks at 149 out of 193 countries – worse than neighbouring Afghanistan, Bhutan, Bangladesh and Pakistan – for the percentage of women in national parliaments, according to the Inter-Parliamentary Union, an independent organisation promoting democracy. “…Frankly, I don’t see enough women in leadership positions. I don’t see them leading enough companies, I don’t see them leading enough states, I don’t see enough of them in the Lok Sabha and the Vidhan Sabhas,” Gandhi said in the southern city of Chennai, referring to India’s lower house of parliament and state legislatures. Federal government jobs in India are already subject to numerous quotas, including one passed in January that reserves 10 percent of openings for people outside high income brackets. Gandhi also said that Congress would pass the Women’s Reservation Bill this year if it came to power. The bill, which reserves 33 percent of the seats in national and state assemblies for women, has been on hold for two decades despite being championed by Congress and the BJP at different points. The BJP, which says it has empowered women through nationwide schemes including clean fuel and sanitation, questioned how the Congress jobs plan would be implemented. “For how many generations have people talked about reservation in party positions, reservation for elections, reservation in jobs? But it doesn’t seem to happen,” BJP spokesperson Shaina N.C. said. There are currently 66 women out of a total 543 elected members in India’s lower house of parliament. At 12 percent, this is the highest ever proportion of women in the Lok Sabha. Women make up nearly half of all voters in the country of 1.3 billion people, according to the Election Commission of India. Based on recent state polls, women will likely head to voting stations in droves for the elections due by May, surpassing male turnout, analysts predict. On Tuesday, Mamata Banerjee, chief minister of West Bengal state, said her All India Trinamool Congress party would field 17 women candidates across 42 seats. Earlier, on Sunday, the Biju Janata Dal, which rules Odisha state in eastern India, said it would reserve seven of 21 seats it is contesting for women candidates. “33% reservation in parliament will give them bigger role in highest policy making body,” Naveen Patnaik, leader of the BJD and Odisha’s chief minister, said in a tweet. A gaffe is when a politician tells the truth, American political journalist Michael Kinsley said. Last week, a prominent leader of India’s ruling Hindu nationalist Bharatiya Janata Party (BJP) appeared to have done exactly that. BS Yeddyurappa said the armed aerial hostilities between India and Pakistan would help his party win some two dozen seats in the upcoming general election. The remark by Mr Yeddyurappa, former chief minister of Karnataka, was remarkable in its candour. Not surprisingly, it was immediately seized upon by opposition parties. They said it was a brazen admission of the fact that Prime Minister Narendra Modi’s party was mining the tensions between the nuclear-armed rivals ahead of general elections, which are barely a month away. Mr Modi’s party is looking at a second term in power. Mr Yeddyurappa’s plain-spokenness appeared to have embarrassed even the BJP. Federal minister VK Singh issued a statement, saying the government’s decision to carry out air strikes in Pakistan last week was to “safeguard our nation and ensure safety of our citizens, not to win a few seats”. No political party can afford to concede that it was exploiting a near war for electoral gains. Even as tensions between India and Pakistan ratcheted up last week, Mr Modi went on with business as usual. 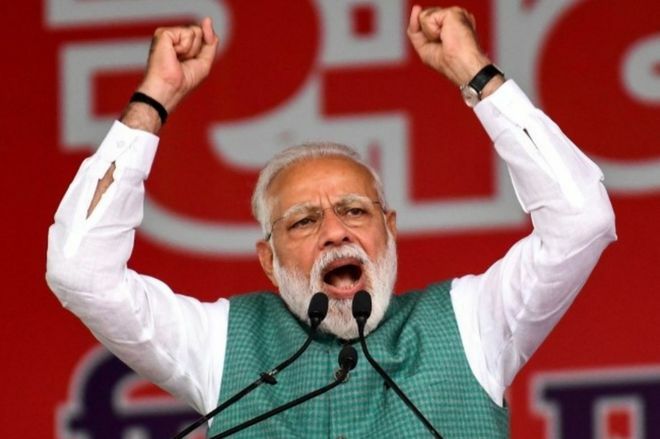 Hours after the Indian attack in Pakistan’s Balakot region, he told a packed election meeting that the country was in safe hands and would “no longer be helpless in the face of terror”. Next morning, Pakistan retaliated and captured an Indian pilot who ejected from a downed fighter jet. Two days later, Pakistan returned the pilot to India. Mr Modi then told a gathering of scientists that India’s aerial strikes were merely a “pilot project” and hinted there was more to come. Elsewhere, his party chief Amit Shah said India had killed more than 250 militants in the Balakot attack even as senior defence officials said they didn’t know how many had died. 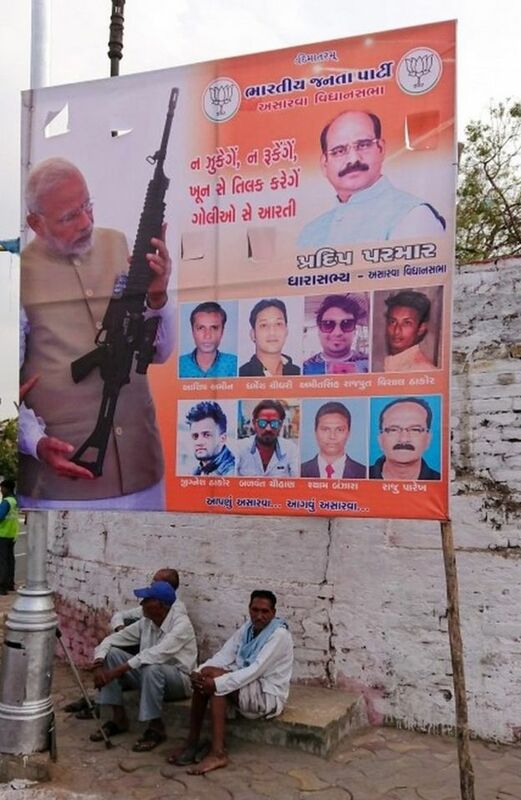 Gaudy BJP posters showing Mr Modi holding guns and flanked by soldiers, fighter jets and orange explosions have been put up in parts of the country. “Really uncomfortable with pictures of soldiers on election posters and podiums. This should be banned. Surely the uniform is sullied by vote gathering in its name,” tweeted Barkha Dutt, an Indian television journalist and author. Mr Modi has appealed to the opposition to refrain from politicising the hostilities. The opposition parties are peeved because they believe Mr Modi has not kept his word. Last week, they issued a statement saying “national security must transcend narrow political considerations”. But can the recent conflict fetch more votes for Mr Modi? In other words, can national security become a campaign plank? 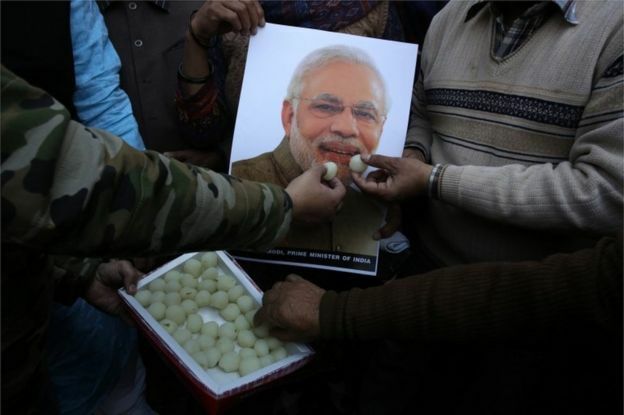 Many believe Mr Modi is likely to make national security the pivot of his campaign. Before last month’s suicide attack – claimed by Pakistan-based militants – killed more than 40 Indian paramilitaries in Kashmir, Mr Modi was looking a little vulnerable. His party had lost three state elections on the trot to the Congress party. Looming farm and jobs crises were threatening to hurt the BJP’s prospects. 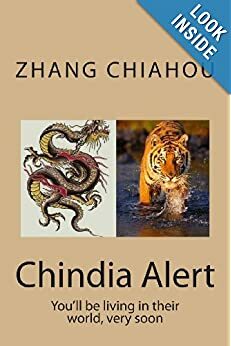 Now, many believe, Mr Modi’s chances look brighter as he positions himself as a “muscular” protector of the country’s borders. “This is one of the worst attempts to use war to win [an] election, and to use national security as petty political gain. But I don’t know whether it will succeed or not,” says Yogendra Yadav, a politician and psephologist. Evidence is mixed on whether national security helps ruling parties win elections in India. Ashutosh Varshney, a professor of political science at Brown University in the US, says previous national security disruptions in India were “distant from the national elections”. 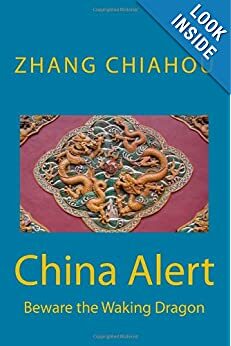 The wars in 1962 (against China) and 1971 (against Pakistan) broke out after general elections. Elections were still two years away when India and Pakistan fought a war in 1965. The 2001 attack on the Indian parliament that brought the two countries to the brink of war happened two years after a general election. The Mumbai attacks in 2008 took place five months before the elections in 2009 – and the then ruling Congress party won without making national security a campaign plank. Things may be different this time. Professor Varshney says the suicide attack in Kashmir on 14 February and last week’s hostilities are “more electorally significant than the earlier security episodes”. Indian election 2019: Are fears of a mass hack credible? Bhanu Joshi, a political scientist also at Brown University, believes Mr Modi’s adoption of a muscular and robust foreign policy and his frequent international trips to meet foreign leaders may have touched a chord with a section of voters. “During my work in northern India, people would continuously invoke the improvement in India’s stature in the international arena. These perceptions get reinforced with an event like [the] Balakot strikes and form impressions which I think voters, particularly on a bipolar contest of India and Pakistan, care about,” says Mr Joshi. Others like Milan Vaishnav, senior fellow and director of the South Asia Program at the Carnegie Endowment for International Peace, echo a similar sentiment. He told me that although foreign policy has never been a “mass” issue in India’s domestic politics, “given the proximity of the conflict to the elections, the salience of Pakistan, and the ability of the Modi government to claim credit for striking back hard, I expect it will become an important part of the campaign”. How the opposition counters Mr Modi’s agenda-setting on national security will be interesting to watch. Even if the hostilities end up giving a slight bump to BJP prospects in the crucial bellwether states in the north, it could help take the party over the winning line. But then even a week is a long time in politics. Narendra Modi rally Live updates:Prime Minister Narendra Modi addressed rallies and unveiled development projects in Andhra Pradesh and Tamil Nadu on Sunday. The prime minister is also scheduled to address a public meeting in Karnataka. Prime Minister Narendra Modi addressed rallies and unveiled development projects in Andhra Pradesh and Tamil Nadu on Sunday. The prime minister is also scheduled to address a public meeting in Karnataka. Prime Minister Narendra Modi’s rally in Guntur in Andhra Pradesh on Sunday is part of the Bharatiya Janata Party’s (BJP) southern campaign where it faces a tall order to increase its footprints in four out of five states. Modi will also visit Karnataka, the only southern state the BJP has ever ruled, in the last leg of his one-day tour. He will unveil several projects at Gabbur in Hubli. The results of the by-elections in Karnataka last November in which it won only one seat out of five was a warning sign for the party which wants to win 20 of the 28 Lok Sabha seats. Senior Congress leader Ghulam Nabi Azad said that the Opposition had asked the government to take up only those bills that were not controversial in Parliament during the Budget session. The Opposition parties have asked Prime Minister Narendra Modi to not present any controversial bills in Parliament during the Budget session. This was conveyed to the prime minister during an all party meeting held in New Delhi a day before the interim budget is presented before Parliament. “We should take up only those bills which are not controversial… on which there is total unanimity,” the Leader of Opposition in Rajya Sabha said. Azad said it would be difficult for Parliament to function if the government pushes for contentious bills. During the all-party meeting, Trinamool Congress leaders Sudip Bandyopadhyay and Derek O’Brien raised six issues. The TMC leaders said that once the President’s address and budget discussions got over, there would only be a few hours left for discussion. They said that the issue of jobs and famer distress should be discussed during that time. They questioned why the government had listed as many as 48 bills to be discussed in just 240 minutes. “Why has Government listed 48 Bills in 240 minutes? Only 5 minutes per Bill!,” they said. Echoing Congress leader Ghulam Nabi Azad’s sentiments, the two leaders said that the government should refrain from presenting controversial bills. “Government will be responsible for disruptions if they list contentious Bills,” the TMC leaders said. They also said that the TMC would raise the issue of misuse of the CBI. “CBI is being misused against political opponents. This will be raised strongly by us and other Opposition parties,” Derek O’Brien said. KOLKATA, India (Reuters) – India’s main opposition parties joined forces against Prime Minister Narendra Modi on Saturday at a rally which attracted hundreds of thousands of people months ahead of elections. The 23 regional groups said they forged a common front to stop Modi’s Hindu nationalist Bharatiya Janata Party, which beat the main opposition Congress and regional parties in 2014. Rural anger over weak farm prices and sluggish job creation mean Modi’s BJP faces a tough challenge to stay in power after electoral losses in three key states last month. Hundreds of thousands of people flocked to Kolkata from rural Bengal for the rally, bringing disruption to the city. Mamata Banerjee, chief minister of the state of West Bengal, called on regional party leaders to join a single platform to defeat the “anti-people” government of Modi, which the 64-year-old said was “nearing its end”. A poll last month by ABP News forecast Modi’s party could fall about 25 seats short of a majority in national elections and Banerjee is among the few opposition leaders who could emerge as a prime ministerial candidate if the BJP loses. Regional parties hold the key as they dominate the eastern states of West Bengal, Odisha, and the southern states of Andhra Pradesh, Tamil Nadu and Kerala, which together send 161 members to the 543 constituencies of parliament’s lower house. Missing from Saturday’s lineup was Rahul Gandhi, president of the main opposition Congress party and leaders of the left parties, reflecting tensions among opposition parties on who would be their prime ministerial candidate against Modi. Gandhi sent his representatives and a letter of support. After the formation of a strong alliance between Samajwadi and Bahujan Samaj Party (BSP) last week in the state of Uttar Pradesh, which sends 80 members to the lower house, Modi’s party faces a risk of losing elections, Banerjee said. Arvind Kejriwal, chief minister of Delhi, said Modi had failed to fulfil his promises including job creation. “Modi had promised to create 20 million jobs a year but after a faulty launch of national sales tax and demonetisation in 2016 more than 10 million jobs were lost,” he said. India’s unemployment rate hit 7.4 percent in December, highest in 15 months, while the number of people employed fell by nearly 11 million from a year ago, a report by the Mumbai-based Centre for Monitoring Indian Economy, said this month. Politicians at the rally, whose organisers said was attended by more than a million people, said India’s growth had slowed during Modi’s term and their first priority was to defeat him, adding a replacement would be decided after the elections. The BJP dismissed the prospects of an opposition alliance, questioning who would lead such a coalition. Modi is expected to detail a package worth more than 1 trillion rupees ($14 billion) in his last budget on Feb 1, including benefits for farmers and other taxpayers. NEW DELHI (Reuters) – India’s ruling party lost power in three key states on Tuesday, dealing Prime Minister Narendra Modi his biggest defeat since he took office in 2014 and boosting the opposition ahead of national polls next year. The results in the heartland rural states of Rajasthan, Chhattisgarh and Madhya Pradesh could force the federal government run by Modi’s Hindu nationalist Bharatiya Janata Party (BJP) to raise spending in the countryside, where more than two-thirds of India’s 1.3 billion people live. Political analysts said the BJP’s defeat would underscore rural dismay with the government and could help unite the opposition led by the Congress party. Modi is personally popular but has been criticised for failing to deliver jobs for young people and better conditions for farmers. The results came as a shot in the arm for Rahul Gandhi, president of the left-of-centre Congress, who is trying to forge a broad alliance with regional groups and present Modi with his most serious challenge yet in a general election that must be held by May. Congress has ruled India for most of its post-independence era after 1947 but was decimated by Modi’s BJP in national polls in 2014. Since then, it had struggled to make major inroads, even in state polls. Gandhi, the fourth generation scion of the Nehru-Gandhi dynasty, has sought to build a coalition of regional groups. On Tuesday, celebrations erupted outside the Congress party headquarters in New Delhi, with supporters dancing, setting off fircrackers and brandishing posters praising Gandhi. “We are going to provide the states with a vision and a government they can be proud of,” Gandhi told reporters. In Chhattisgarh, Congress was ahead in 68 of the 90 seats at stake, with the BJP on 16, according to data from the Election Commission. In Rajasthan, the Congress was leading in 99 of the 199 seats contested, against 73 for the ruling BJP. In Madhya Pradesh, the most important of the five states that have held assembly elections in recent weeks, Congress was leading with 113 seats while the BJP had 110 out of 230. Regional parties were leading in two smaller states that also voted, Telangana in the south and Mizoram in the northeast. Congress said it was confident it could form governments in all three big states. The BJP previously ruled all three, for three terms in two of them. The BJP said the state results would not necessarily dictate what happens in next year’s general election. Investors said the BJP had not fared as badly as feared, and nationally would still likely have an edge over an opposition coalition in the general election. “A disappointing set of state election results … suggests that the ruling national party has lost some goodwill,” London-based economic research consultancy, Capital Economics, said in a note. Markets recovered from sharp early losses and ended marginally higher, though the central bank governor’s sudden resignation on Monday kept investors nervous. A lawmaker for the BJP said it had erred in focusing its campaign on partisan themes, such as the building of a Hindu temple at a site disputed by Muslims, instead of offering jobs and growth. “We forgot the issue of development that Modi took up in 2014,” said Sanjay Kakade.